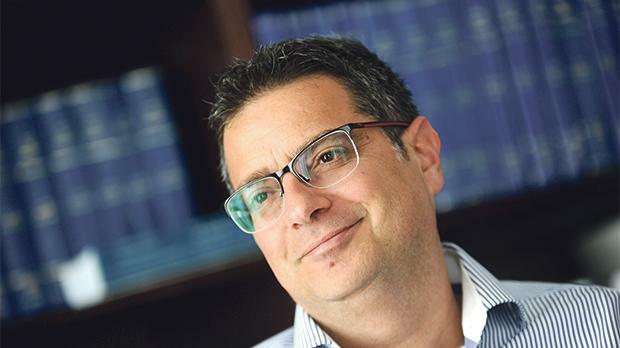 The newly elected leader of the Nationalist Party, Adrian Delia, sits for a frank one-on-one with Matthew Xuereb, discussing his personal financial situation and his political vision for the country and the party. You’re insisting on the PN’s values and appealing to traditional Nationalists. But this is not enough to win. How will you attract the liberal element to the PN fold? I don’t like to use the word ‘appeal’, because what I say or do is not an appeal for votes. When I’m talking about the core values of the PN, it’s not only what I subscribe to but the formation of who I am, what I believe in, whether it’s in politics or in family life. It’s not a question of appealing. It’s a declaration of how I see life and society and life in general. The values are who we are. In the very beginning of my campaign, I spoke about a sociological study to have a snapshot of society and take stock of where society is today. But then the aspiration is where I’d like to see not only our party but our nation in 20 or 30 years’ time – the morality of who we are and what we believe in, upon which we have our principles. I have no problem with a diversity of ideas within the party, as it is not a unilateral structure where you have a leader who believes something and everyone must follow. It is a party that can bring consensus. You promised a free vote for PN MPs on issues of a moral or ethical nature. Does this mean the PN, as a party, is not open to a debate on internal policy decisions? Not at all. We know there are various legislative proposals or bills coming up. Let us start an internal discussion on the issues, such as prostitution, euthanasia, surrogacy, embryo freezing and abortion. I am confident that on most of these issues we will have one unified voice – a pro-life voice. Then on others where we are dissenting, when there are individuals who do not agree, whether it is one of 50 who is uncomfortable living with his conscience, then we should have a free vote. I am issuing an invitation, not a challenge, to the Labour Party to say where they stand on morals, and to say whether they are prepared to look at the issues as moral ones without the political tinge. Why should we bring politics into euthanasia? On the one side, there is the value of life. On the other there’s compassion. We should look at these issues without bringing politics into it. Will you revise the Marriage Equality Act to reintroduce the terms ‘mother’ and ‘father’? From the Opposition, I’m not in a position to revise anything. As a matter of fact, I’ve already spoken about being completely in favour of civil liberties. I still cannot understand what added civil right or duty the gay marriage act introduced and, with that, why the removal of terminology at law that describes what we really are, whether a mother or father, and replacing it with an abstract term. The PN originally had a strong position on this but then sort of let go of it. But it is not something that I can change from the Opposition. Let’s start step by step. It is definitely not an issue that is being discussed at this stage. There are other pressing issues that are coming up in the next four-and-a-half years. How will you deal with politically motivated transfers and political favouritism? It is not only paying lip service to nice phrases when I say that the human being must always be at the centre of our politics. Whether it is one or thousands, we need to know about the cases. I appeal to people who have suffered these political transfers for reasons which are unconstitutional – because the Constitution lays down that there has to be the protection of human rights on the basis of gender, age and political belief – to come forward. We need to know who these people are and start talking about redress, even from the Opposition. The economy is doing well, but you said people are not reaping the full benefits. How will your economic policies differ from Labour’s? We first need to see how the surplus came about. Is it a surplus because we are earning more due to economic activity which is increasing, or is it because we are not investing enough in capital projects? We have a surplus on paper, but the national debt is increasing. I am not in favour of a politics of fear, but we must ensure that if there is a decline in economic activity, there is a plan thought out beforehand. Statistically, the number of people on the verge of poverty is increasing, so we need to see where the surplus is going. Is it actually affecting the well-being of thousands of our citizens or of a few? Is the boom in economic activity affecting only a particular sector and is that real or inflated? I do not want to make a political football out of this, because these are all sensitive issues but we need to sit down and plan ahead. The PN is in the process of publishing its pre-budget document as we always do. It’s not always criticising but preparing the way forward and looking at our economy in the future. The Labour Party has, sadly, not created new motors of economic activity. Credit is due to it for building on what there was and ensuring that there was no slump, but we need to start thinking of the economic sectors of the future, and the PN is very keen to contribute even from the Opposition benches. On the environment, there were times when the PN was accused of being in the pockets of developers. Will the environment be a distinguishing factor for the PN under your leadership? It’s not a question of distinguishing. The environment is where we live and what we have to enjoy. So all the political debate will lead us to where? To still living on this tiny island where we have very little left to enjoy. So we certainly need to protect our environment, increase our green lungs and ensure that if there are still a few areas where our children can breathe fresh air and run around like proper decent human beings, it is something we need to speak about. Having said that, we must not forget that our country needs to grow and development needs to go on, but planned and sustainable development, not capricious development. Sadly, maybe the Maltese political structure of a duopoly has not allowed the country to plan ahead. When a sovereign State plans ahead, it needs to do so not for five or 10 years, because they are the usual terms of office, but 20, 30 or 40. Are our forested areas growing? Are we talking about green lungs in our village cores? It must not only remain ODZ but we need to understand what areas require our attention. If there is a national interest which you cannot escape, like homes for the elderly or the waste-to-energy project, it must be considered, but certainly not for speculation or to enrich the few and certainly not to have pseudo-foreign investment coming to Malta under the pretext of need when it is the pretext of greed. So ODZ is not only to be protected but we need to do it intelligently without restricting areas of growth. Once you mentioned waste to energy: are going to review the PN participation? After a few days in office, I am collecting information. I think the papers slightly misquoted me here. I am not a person of challenges. This is not street fighting. I am saying there is an invitation on the table, but what is this invitation precisely? To rubberstamp a decision that has already been taken? Will the government be inviting the PN to participate in decision making only in this instance, on this technical committee only, or on all? I accepted the Prime Minister’s invitation to meet up but I also extended my own invitation to understand how much the government genuinely wants to involve the PN for planning the future of our country, for the better social and economic well-being of our citizens. But not capriciously, just to have the PN involved where the government does not want criticism and just to have our name or stamp put on it. “Day by day, I am receiving signs of rallying behind the new leader”. You’ve been in the limelight for a few months and have been dented on issues of credibility. You’re being compared to Donald Trump. How do you react? I do not feel dented at all. There is absolutely no comparison with Trump. It is a bit of a non-parallel in terms of his age, wealth, lifestyle, business profile, extremism in ideology, in his contradictory statements. The parallel ends with me coming from outside politics. Anybody who is not a career politician has the baggage of life. If you enter politics at 48, then you have lived your life. It is a genuine concern and I do not blame people for asking questions. I’m not ashamed of anything I did in my life. If we want to intrigue people and involve our youths to contribute to politics, we need to change the ways. Everybody has a life history and committed mistakes and has something to offer. This is a new way of how to do politics in Malta. Some have been in public life for years, so fewer questions will be asked there. It is fair concern for people to ask how I have lived my life. I am certain that every day that passes and every piece of information that comes out will be scrutinised and judged. Transparency will be the hallmark of what we will be doing. But as Lawrence Gonzi once said, do not judge me on my words but on my actions. My actions are not only my past but my positions taken as leader of the Nationalist Party. There will be a lot to see, to criticise, to judge and to look forward to. Let’s clear that up. I have a nine per cent stake in a company which contracted a constitution of debt which pertains to the company. In my personal capacity I am jointly and severally personally responsible should it fail to pay that that amount. The assets the company has exceeds that debt and it is all numerically explained. At the end, I will be in a position to actually receive my share rather than have to pay. Is there a timeline for when it would go? When the properties are sold. There are already five which are under promise of sale. Aside from the company, the declaration shows that you personally have €728,000 in debt, on which you pay interest amounting to more than €40,000, which is equivalent to your salary as Opposition leader. You also have €100,000 in overdrafts and credit card balances and you owe more than €85,000 to the tax man, of which more than €30,000 are charges and penalties. Is this looming bankruptcy? The statement shows that there is a net asset value of €1.6 million. Your terminology is absolutely incorrect. I pay my debts through monthly repayments that have always been respected. I will sustain my standard of living from the wage I will be receiving. I have already said I will be selling my businesses and from the sale I will be in a position to continue settling my commitment with the banks as I have always done. I absolutely discard the word bankruptcy, which is legalistic terminology derived from accounting practice, because this is an issue of solvency or insolvency. The assets that I have far exceed the debts, so there is nothing at all which is worrying in my financial situation. Are there any lifestyle changes which need to be made? The most important things in my lifestyle are the education of my children, which will continue being catered for, and the way we live our life in our home and travel. Nothing else. There is no anticipated change in lifestyle. I will be selling off what I’ve worked for all my life and I will be concentrating on giving back to my country what my country gave to me. Where is your money? Do you have no savings? No, because I have always chosen to invest in property. I never put much money into a bank but always chose to invest it. But if something happened and someone required medical treatment abroad, how would you cover that? Insurance. I never had an issue in 48 years. I have robust health and life insurances. The worst thing that can happen is I drop dead and the insurance will cover the debts and will allow for a substantial amount for my family to continue surviving. Have you ever taken drugs? No. Not a very complicated answer. Let’s talk about your parliamentary seat, because that what’s intriguing at the moment. In September you said it was a non-issue because you had a plan. Did it fail? What was the plan? What are you going to do now? The plan is being executed. It didn’t fail at all, and we are working around the clock to conclude it and it is close to being concluded, so you need to be a bit patient. It would be very imprudent if I go into detail. At the end of the day the PN needs to have its leader to be the Leader of the Opposition. It does. From a moral point of view, it entails going to a person who has worked for weeks, months or years to obtain a parliamentary seat and asking the person to give it up. So it’s an act of selflessness. Correct. But that’s what has to happen. It’s an act of giving and an act if believing in the greater good. It’s a question of talking to people. Incidentally, in the last few hours, there has been a substantial number of PN election candidates [who can contest a casual election] who are rallying around the leader to see the leader in Parliament. It doesn’t only involve Gozo. There are a number of options and I have not only looked into one possibility but I’m having the widest possible discussion in the best interest of the party. There are 13 districts so it could be anywhere, so I’m going to keep you guessing. Marlene Farrugia says she does not acknowledge you as her Opposition leader. You’ve spoken against the coalition. Is it out the window? That’s unfortunate. I didn’t speak against the coalition. In hindsight, it did not work in favour of the Nationalist Party but I understand why the PN took that decision. I am eager to meet up with Marlene and Godfrey Farrugia to get to know them. Marlene seems like an MP who really wants to contribute. I am saddened to hear you say that she does not acknowledge me without even meeting me and getting to know me. Baggage seems to imply something negative. So because a person has a life and lived it. Everybody has debts. I would be worried if they cannot be controlled. I have been in control of my debts for the past 25 years. So you see a future for the coalition? I see a future with Marlene and Godfrey Farrugia contributing towards the well-being of our country. Do you see a leading role for Simon Busuttil under your tenure? I have already stated that I believe Simon Busuttil still has a lot to contribute to the local and international political scene, because he is a very valid person. I have been meeting him practically every day and he is giving me a most professional and seamless handover, which is fundamental for the Nationalist Party. I have spoken to him about the need to seek anywhere where he could contribute in the best possible manner. How will you unite the party? I do not think that the texture of the campaign trail is representative of the post-campaign trail. Day by day, I am receiving signs of rallying behind the new leader. I had a very cordial meeting with Chris Said, and I will continue speaking to him. The most important thing now is putting the party first and believing that the party has a lot to contribute. Creating situations of working together and building trust. It’s a process. I acknowledge that I am new and need to work very hard to earn people’s respect and trust, especially with those who need more time and space to allow me to have their respect. 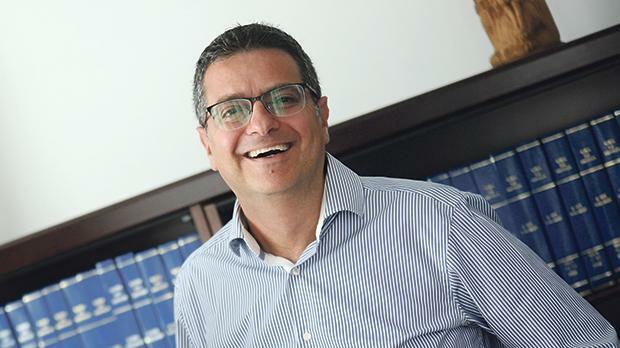 Pierre Portelli has been mentioned as the PN’s next general secretary. Does he have your backing? I was not only backed by him. He was advising me. The two deputy leaders and the general secretary are elected posts. I am a very democratic person and I think we should reflect and respect our electorate. After that, things will start taking shape. I have asked that the whole process be finalised by the end of the year. The original timetable would have seen the party still in the process by March and April. He has my full trust and respect. I’ve known him for 20 years. It’s not my style to push one person. I think it’s a matter of consensus. But certainly I feel he has a lot to contribute to the party. Will you fight corruption with the same fervour as your predecessor? Absolutely zero tolerance to corruption. Whoever knows me knows that that my life has been defined by my fight against injustice. I was exposed to it in my everyday life, particularly my last five years in football, when I was completely dedicated to fighting injustice and corruption. I think corruption is a green-eyed monster which is really attacking the fibre of our society. It is an injustice of the highest level and I will always do my best to fight corruption in any form or manner, not only at the institutional level but the personal. However, the party needs to have other policies too. We need to be optimistic and give hope for a better life, a better country, a better place where our children can live. In my mind, fighting corruption is so obvious that it must be done every single day in the way we think. We get to an end by not following the easiest way but the right way.